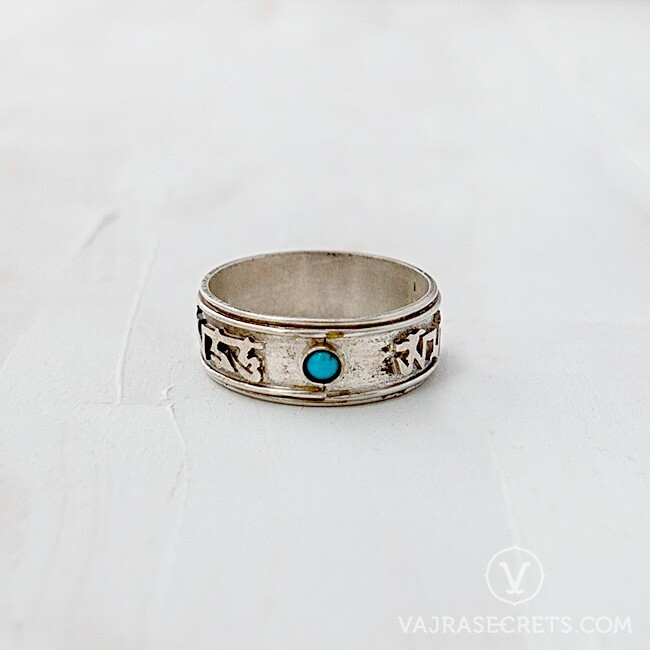 This hand-made sterling silver ring is carved with the six syllable mantra OM MANI PADME HUM and adorned with coral and turquoise stones. The mantra insert can be spun as you recite your prayers or throughout the day, bringing Chenrezig's blessings of compassion and peace into your life. Handcrafted by master Himalayan silversmiths, this sterling silver ring is carved with the world's most widely recited mantra - OM MANI PADME HUM. 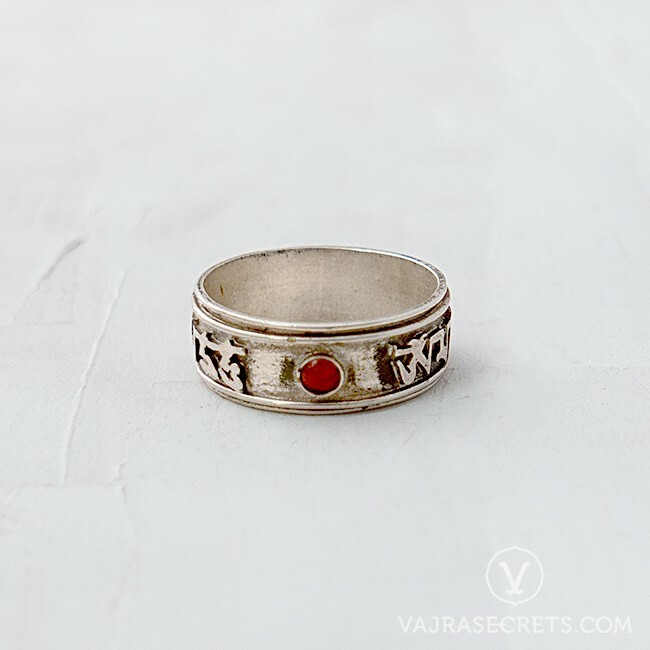 A single red coral stone adorns one side of the ring while a turquoise stone adorns the other. OM, consisting of three pure letters, A, U, and M (in Sanskrit), symbolises the pure exalted body, speech and mind of a Buddha. MANI, meaning jewel, symbolises the enlightened path of love and compassion. PADME, meaning lotus, symbolises supreme wisdom. HUM symbolises the union of compassion and wisdom which leads us to complete enlightenment. Inspired by the concept of prayer wheels, this spinning mantra ring can be used as you recite your prayers or throughout the day, bringing Chenrezig's blessings of compassion and peace into your life.